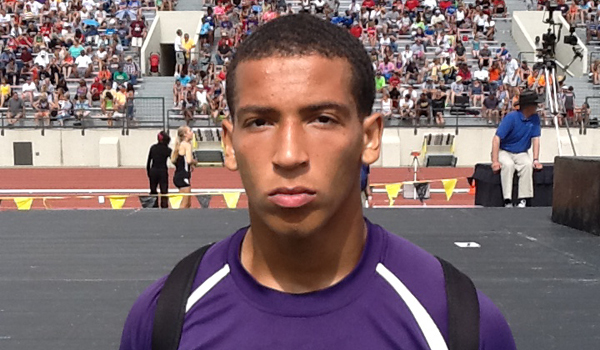 Alex Barnes of Pittsburg made it official on Monday morning by picking the Kansas State Wildcats. The senior athlete, who weighs 215 pounds and stands 6-feet tall, from Pittsburg knew the Wildcats were the right fit for him. "I feel at home in Manhattan and I cant wait to tear it up with this great class of athletes.'' Barnes said. Barnes came into this season as one of the top running backs in Kansas and has proven why he is in 2014. This past week against Blue Valley Southwest he went for 322 and five touchdowns. He has rushed for 1,660 yards and 28 touchdowns in eight games for the Dragons (7-1) on the year. It has marked the third year in a row he has went over 1,000 yards, including 1,348 yards (23 TD) last season. Barnes also holds offers from Kansas, Minnesota and Rutgers. He projects as an athlete at the next level that can play Safety or Running Back. He earned first team all-state from Kpreps last season and was on the all non-senior team from Sports in Kansas in 2013 as a junior. Not only has his on the field performance attracted recruiters, his weight room and combine numbers are off the charts. It has been reported that Barnes benches 385 pounds (including a rep max of 434.25 - 225 pounds 31 times), squats 520, cleans 315, runs a 4.48 40-yard dash, and has a 37-inch vertical. Pittsburg High (5A) will play Aquinas this week in districts for the final regular season game of the year. The Dragons need to win to keep their season alive and hope for a Blue Valley West loss to Southwest. If three teams finish at 2-1 in the district it will come down to a tie breaker point system.